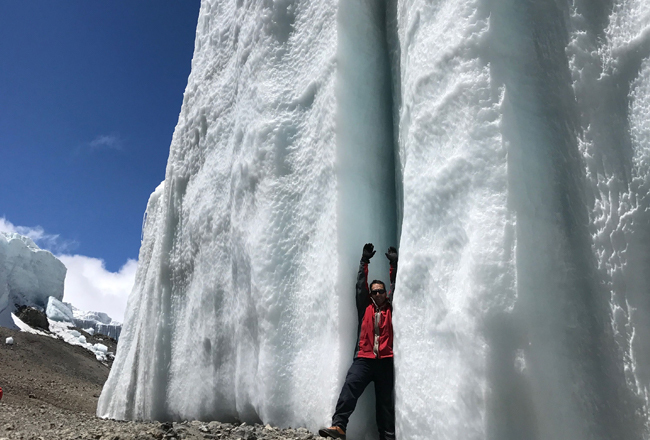 Fundraising tour operator, Charity Challenge has launched a thrilling new way for adventurers to conquer Africa’s highest peak, crossing its remote Northern Icefields. 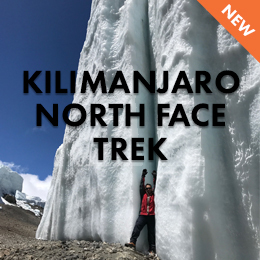 The new Kilimanjaro North Face Climb itinerary from Charity Challenge takes adventurers up the virtually untouched north flank of the mountain, allowing them to reach the summit in daylight, something that the traditional Kili climbs have not been able to do. The route begins with a trek through a beautiful rainforest, before taking adventurers to the remote Northern Icefields and across the Reusch Crater, an area that no other Kilimanjaro itinerary touches. “The Comic Relief “Kilimanjaro: The Bigger Red Nose Climb” expedition, which took place in February 2019, and saw celebrities including Ed Balls, Dani Dyer, Shirley Ballas and Alexander Armstrong tackle the 19,000ft mountain, has once again put the spotlight on the challenge of climbing Kili,” said Simon Albert, Director of Charity Challenge. The new challenge takes participants up a very remote part of the Kilimanjaro massif, a route that very few operators offer. The north flank route offers spectacular views over Kenya, whereas the traditional Kili climbs look out over Tanzania. Unlike the well-trodden routes with their midnight departures to the summit, lit only by headtorch, the North Face approach departs camp at 4am, just before dawn. 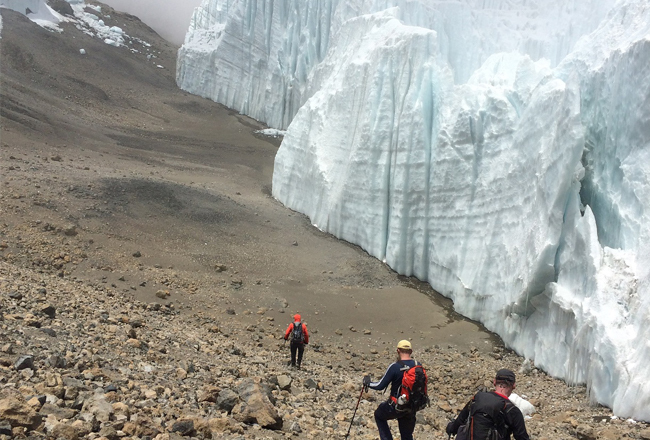 This gives trekkers the opportunity to enjoy the stunning Northern Icefields in full daylight before entering into the crater of Kilimanjaro, passing by the famous inner Reusch Crater and pushing up the steep track to Uhuru Point (5,895m), the ‘Roof of Africa’. 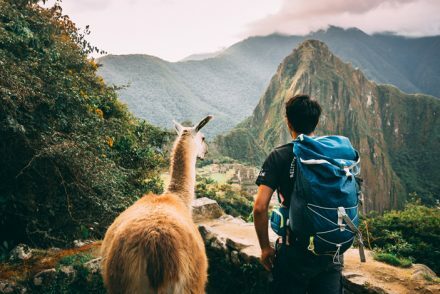 The 12-day trip involves eight days of trekking and has several departure dates in 2019 and 2020, the first of which is 23 October – 3 November 2019. The itinerary starts with a flight to Kilimanjaro Airport, where participants have the chance to meet and bond with their group and enjoy a relaxing hotel stay, a team dinner and full briefing on the climb. During the climb, each day involves between five to seven hours of trekking, culminating in a 14-hour trek on day seven of the climb to reach the Kilimanjaro summit at Uhuru Point. On the final day of the trek, adventurers will descend to Mweka Gate, where they will be greeted with a hearty lunch before retiring to their hotel for a well-earned hot shower, celebration dinner and rest. For the full Kilimanjaro North Face Route itinerary, click here. To participate in the Kilimanjaro North Face Summit Climb challenge, adventurers must pay a deposit of £725 when they book and raise a minimum of £5,775 in sponsorship. Alternatively, participants can opt to self-fund the trip at a cost of £3,555. Additional funding options can be found online. This will cover international flights from the UK, two nights in hotels and six in camps, all meals, internal transfers, entrance fees to national parks or other places of interest visited on the itinerary, first-aid qualified leaders and doctor, first-aid supplies, the services of a support team including English-speaking guides, drivers, cooks and porters, activity equipment and a Charity Challenge T-shirt. 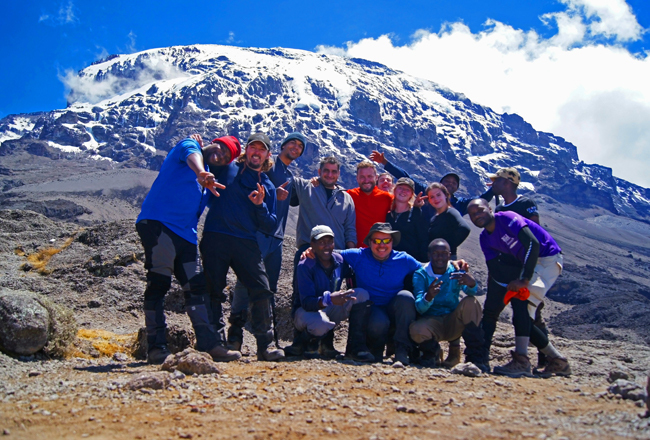 Other Mount Kilimanjaro challenges, available via Charity Challenge include the Kilimanjaro Summit Climb – Rongai Route, which has departures available in September and October 2019 as well as February, June, July, August, September and October 2020 and the Kilimanjaro Summit Climb – Lemosho Route, which has departures available in July and October 2019 as well as January, February, March, June, July, September and October 2020. For those who prefer to gaze up at Kilimanjaro from its base, on two wheels, Charity Challenge offers a Kilimanjaro to Ngorongoro Crater Bike Challenge, a nine-day cycling tour across Tanzania’s famous northern circuit, and a Maasai Bush Trek through the Rift Valley, hosted by Maasai warriors and in the shadows of Kilimanjaro. 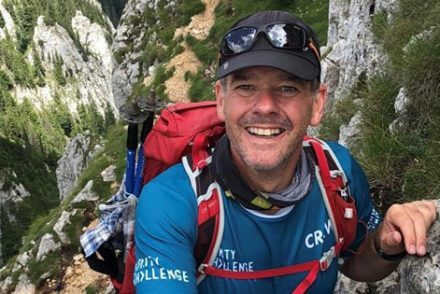 Charity Challenge is a multi-award-winning travel company specialising in raising funds for good causes. 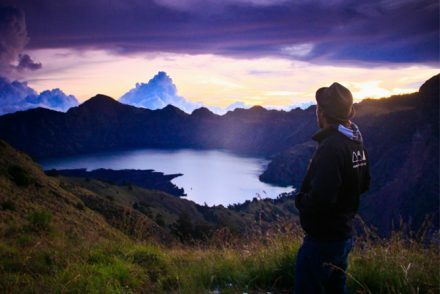 Charity Challenge recently won a World Responsible Tourism Award and was voted “Best Challenge Company” in the Institute of Fundraising Awards two years running. The company’s community challenge programme was commended by the Queen’s Awards for Enterprise in Sustainable Development and was highly commended in the category of Best Travel Company for Poverty Reduction in the Virgin Holidays Responsible Travel Awards. 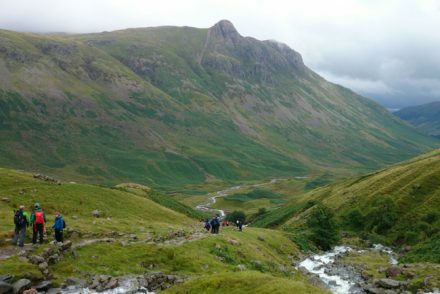 To book the Kilimanjaro North Face Route and for more information, go to www.charitychallenge.com or call 020 8346 0500. 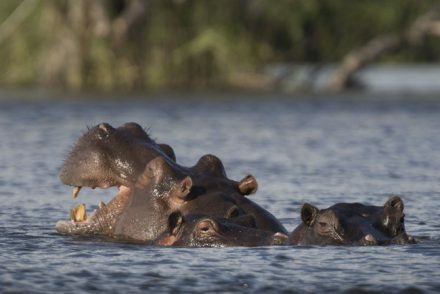 First pod of hippos spotted!